Studies show music and music education can have a profound impact on mental and physical health for students of all ages, from helping kids learn to read to keeping teens off drugs to preventing hearing loss in adults, and much more. Explore articles and study summaries below and learn what you can do to start experiencing these benefits in your life. Kids are ready to begin making music even earlier than you may think; Northeast Iowa School of Music has instructional programs for kids as young as newborn. Plus, there are benefits to just listening. Hearing music stimulates the mind, improves the mood and brings people together. Just listening to music can fill a home with joy and add an extra dimension to kids' lives. People who make their own music enjoy these benefits many times over. Expose your children to different types of music. Go to musical events, listen to the radio, enjoy musical performances on television, play CDs and mp3s — there are lots of ways to explore the world of music. Northeast Iowa School of Music even makes it easy with free L&MOP monthly kids' concerts. Make music as a family. Maybe you're an accomplished musician with a gift to pass on to your kids; or maybe you can pass a rainy day making your own instruments out of coffee cans, broomsticks or water glasses. It's fun either way. Encourage and support your children when they become interested in playing an instrument, whether it's in school, privately, or both. 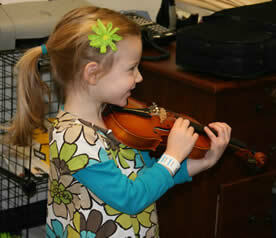 Northeast Iowa School of Music offers Suzuki Strings in violin and cello starting at age three! For older children, we have both private lessons and duet lessons in voice, piano, and other instruments, plus limited music therapy services for those with special needs. You're never too old to make music! Music can play a role in healthy aging, mentally, emotionally, and even physically. Even if you've never played an instrument you can start reaping the benefits of music education. 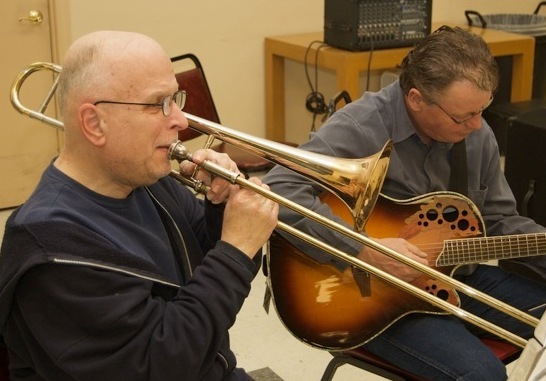 The NAMM-funded Music Making and Wellness project found that seniors who participated in group music lessons reported significantly decreased feelings of depression, anxiety and loneliness. No experince is necessary for our instructional programs. You can incorporate music into your life by attending concerts and taking advantage of free performances. Make it a social outing for even more emotional benefits. Reading music uses the whole brain, and learning music has numerous wonderful effects on children, improving development, reducing peer pressure, and much more. The Positive Effect of Music Literacy in a Child's Life. Infants who participated in music classes through a study at McMaster University showed better social and communication skills and brain response to music. Babies' Brains Benefit from Music Lessons, Even Before They Can Walk and Talk. A study published in the British Journal of Psychiatry shows Music therapy can benefit depression patients. Music keeps kids in school and off drugs. Dosomething.org rounded up 11 Facts about Music Education that reflect mental, emotional, and physical benefits for students of all ages. A study of 7,500 university students revealed that music majors scored the highest reading scores among all majors including English, biology, chemistry and math. Physician and biologist Lewis Thomas studied the undergraduate majors of medical school applicants. He found that 66 percent of music majors who applied to med school were admitted, the highest percentage of any group. Forty-four percent of biochemistry majors were admitted. In a 2000 University of Sarasota Study, Jeffrey Lynn Kluball explored the relationship of instrumental music instruction and academic achievement for the senior class in Lee County High School, Leesburg, Georgia. Significant correlations were found between the number of years of band instruction and academic achievement as measured by the Georgia High School Graduation Test (GHSGT) Mathematics and GHSGT Science tests. An East Texas State University study by Daryl Erick Trent revealed that high school seniors who participated in instrumental music in grades 6-12 score significantly higher in language arts and math on standardized tests than do students involved in non-music extra-curricular activities or students not involved in any school related extracurricular activity. Reference: Profile of SAT and Achievement Test Takers, The College Board, compiled by Music Educators National Conference, 2001, 1996. Preschoolers were divided into three groups: one group received private piano lessons and singing lessons. A second group received private computer lessons. The third group received no training. Those children who received piano/keyboard training performed 34% higher on tests measuring spatial-temporal ability than the others — even those who received computer training. “Spatial-temporal” is basically proportional reasoning — ratios, fractions, proportions and thinking in space and time. This concept has long been considered a major obstacle in the teaching of elementary math and science. How do early sensory and motor development influence later cognitive, perception and language skills? That was the question asked by Debby Mitchell at the University of Central Florida in her study, “The Relationship between Rhythmic Competency and Academic Performance in First Grade Children.” The study explored the cognitive-motor link, and how sensory and motor development may influence later cognitive, perception and language skills. Findings showed that there was a significant difference in the academic achievement levels of students classified according to rhythmic competency. Students who were achieving at academic expectation scored high on all rhythmic tasks, while many of those who scored lower on the rhythmic test achieved below academic expectation. The study concludes that the large percentage of children who are achieving below academic expectation are lacking in foundation skills that should have been developed prior to entering school. The U.S. Department of Education lists the arts as subjects that college-bound middle and junior high school students should take, stating, "Many colleges view participation in the arts and music as a valuable experience that broadens students’ understanding and appreciation of the world around them. It is also well known and widely recognized that the arts contribute significantly to children’s intellectual development." In addition, one year of Visual and Performing Arts is recommended for college-bound high school students. According to a study conducted at the University of Texas, college-aged music students have fewer problems with alcohol, are emotionally healthier, and concentrate better than their non-musical counterparts. “This study is interesting on many levels,” commented Dr. Kris Chesky, one of the study’s researchers. “First of all, it flies in the face of all the stereotypes out there about musicians. It also seems to support the assertion that studying music helps people learn to concentrate.” The study looked at 362 students who were in their first semester of college. They were given three tests, measuring performance anxiety, emotional concerns and alcohol-related problems. In addition to having fewer battles with the bottle, researchers also noted that the musicians seemed to have surer footing when facing tests. Far too often adults don’t take up music because they are under the mistaken belief that they are “too old to learn to play an instrument.” Writing in MuSICA, Research Notes, Dr. Norman M. Weinberger, Center for the Neurobiology of Learning & Memory, University of California at Irvine, is quick to point out that it is “never too late” for music. 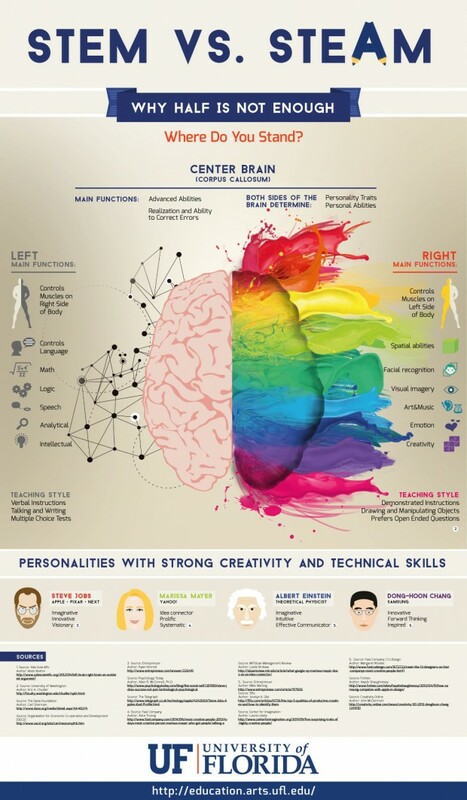 He goes on to say, “It is an established fact that the adult brain is perfectly capable of learning and remembering music throughout life span.” The capacity to learn music remains viable throughout life and often remains strong through the seventh, eighth and ninth decades. Scientists are now saying that creativity, such as music making, may play an important role in healthy aging. Milwaukee Journal Sentinel, May 10, 2004, 1G.